LEIDEN (Neth.) 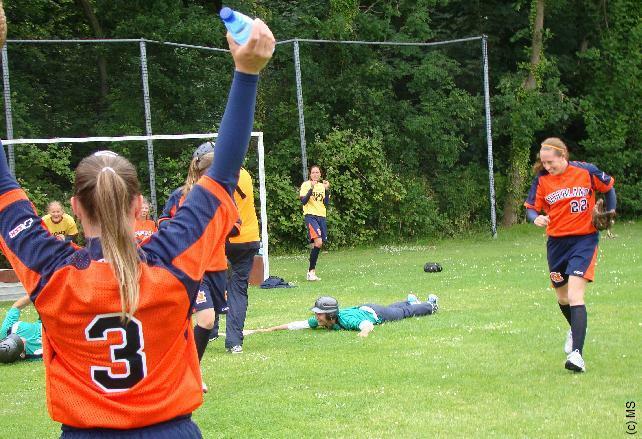 - On Monday, the players of the Dutch National Softball Team and its staff were present at Sportpark 'De Leidse Hout' in Leiden attending a presentation of Right To Play, then served as instructor later in the day during a sports activities day of ASICS. 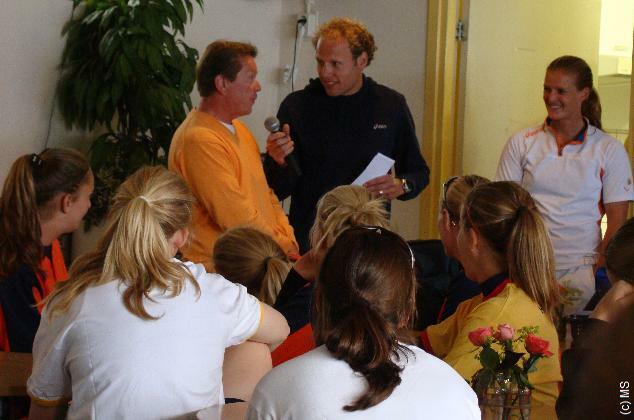 In the morning, Matthijs Huizing, director of Right To Play, and Michel van Keulen, informed the players of the Dutch Team about the work that Right To Play does around the world. Right To Play is already working for several years now to support the lives of children in development countries and uses the numerous possibilities of sports for the development of children and with that to strengthen communities. 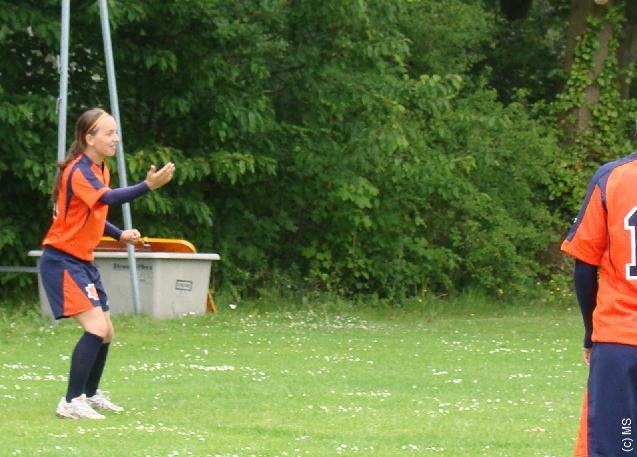 At the moment, Right To Play works in 23 countries in Africa, Asia and the Middle East. 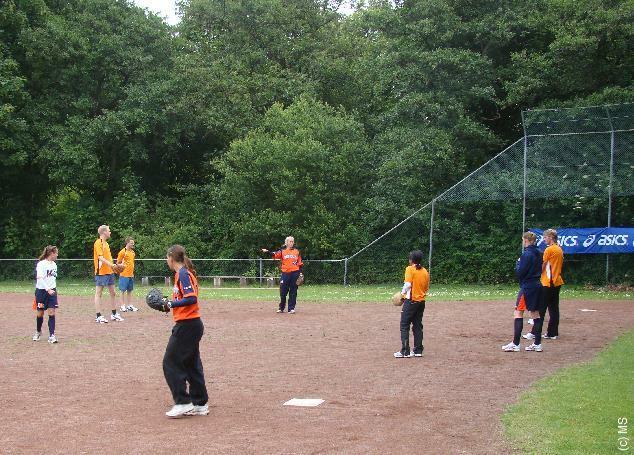 Right To Play is using specially developed sports- and games programs in all its projects in four themes: Education and development of children, Development of the community, Conflictprevention and peace education, Health and prevention of diseases. 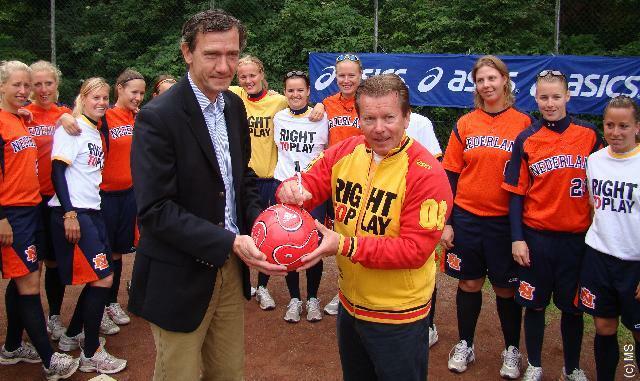 In 1992, prior to the Olympic Winter Games in Lillehammer (Norway), Olympic Aid was founded by the Lillehammer Olympic Organizing Committee and became the predecessor of Right To Play. 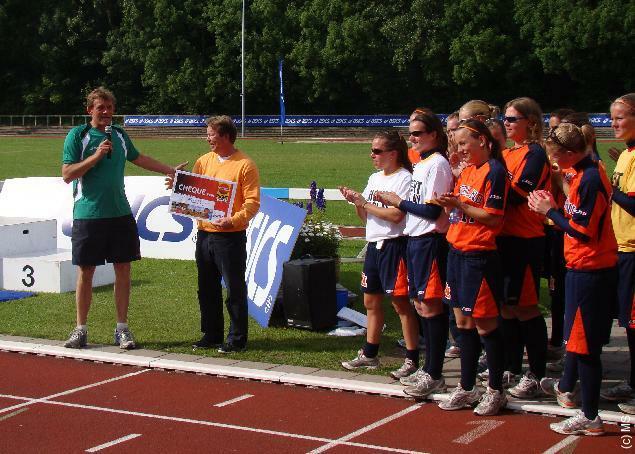 Led by Norwegian speedskater Johann Olav Koss, Olympic athletes were chosen to become ambassador prior and during the Olympic Games. 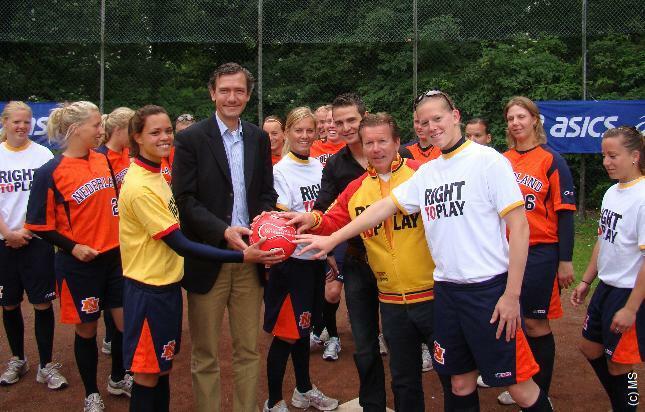 In 2001, Right To Play (then-called SportWorks) became an executive organisation with own sports- and games programs. 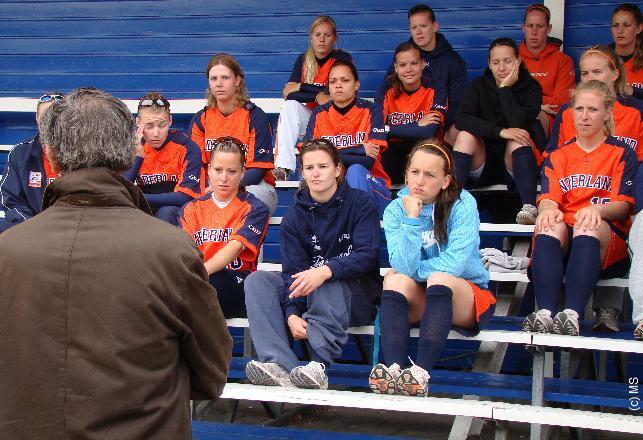 The name change into Right To Play followed in 2003. 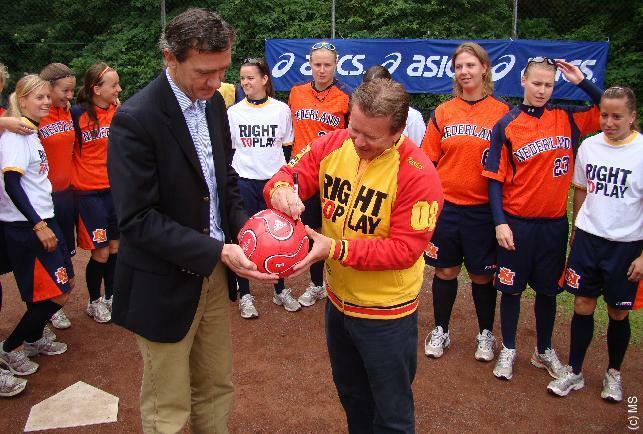 Nowadays, Right To Play is an important player regarding development through sports and wants to offer children around the world a chance for a good future by letting them play. 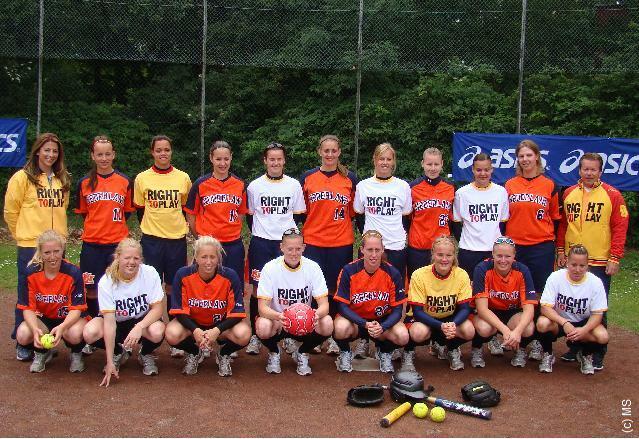 A lot of Dutch and international athletes are currently ambassador of Right To Play, including Canadian softball-players Cherene Hiesl and Sommer West and American Major League baseball-player Gregg Zaun. 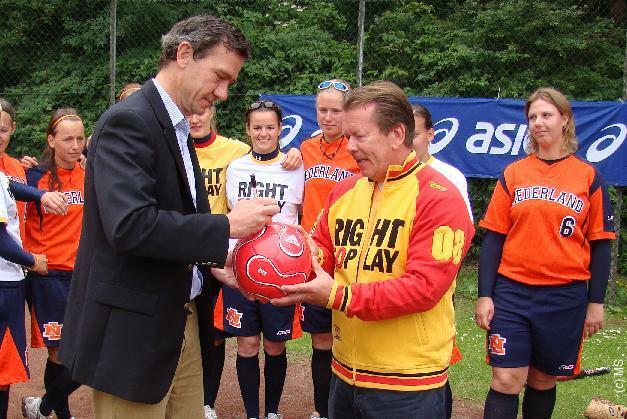 After the introduction, there was a photo-session with the Dutch National Team, while Matthijs Huizing and Craig Montvidas signed a ball to confirm the ambassadorship of the Dutch National Softball Team. 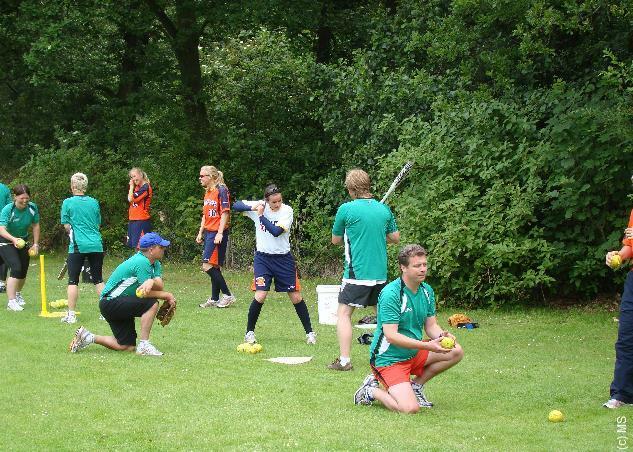 In the afternoon, former Dutch National Team-players Marloes Fellinger and Daisy de Peinder coordinated the softball-part of the sportsday held by ASICS for its employees. 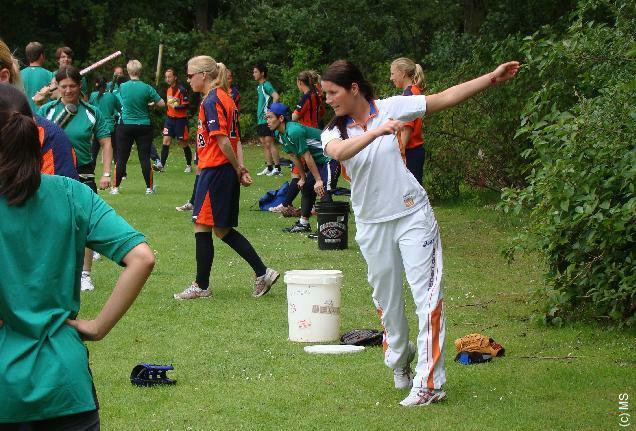 Marloes and Daisy, who last year participated in the Olympic Games in Beijing, led the group of Dutch players, who then went on to instruct the ASICS-employees in throwing, catching, hitting and fielding. Hereafter, a mini-game was played. ASICS produces sports shoes, whose qualities make it a worldwide trendsetter in the field of sports articles. 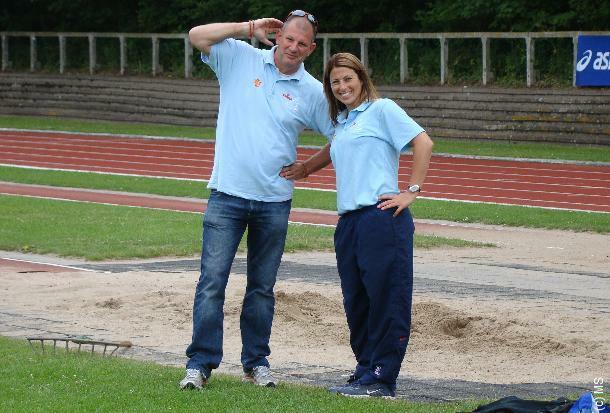 ASICS supports several national and international sports events, but also individual top-athletes. 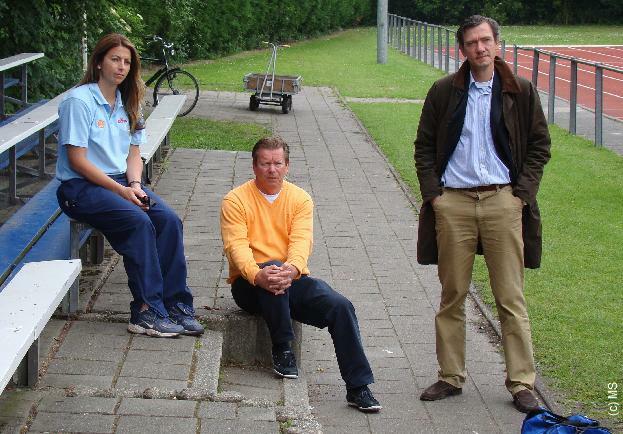 Currently, ASICS is the official product supplier of the NOC*NSF (the Dutch Olympic Committee). 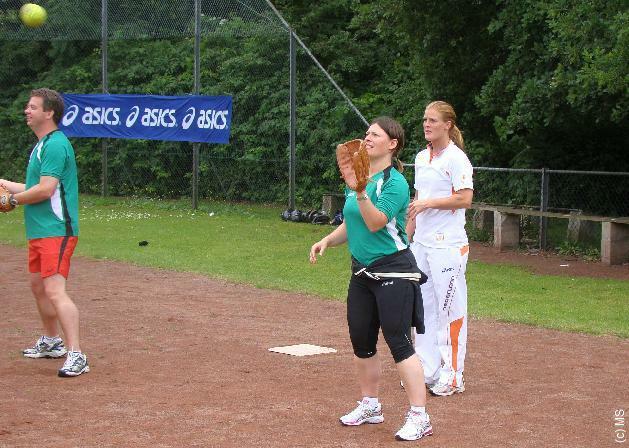 Besides the Dutch National Softball Team, other athletes also were invited to instruct the ASICS-employees, including Melissa Boekelman (specialized in shot put, but also active in discus and javelin, won 2006 world junior title shot put in Beijing), Marije Smits (paralympic 100 m sprinter and jumper, participated in 2004 and 2008 Olympics), Yvonne Wisse (heptathlon, seven times Dutch champion) and Jolanda Keizer (heptathlon, participated in 2008 Olympics). 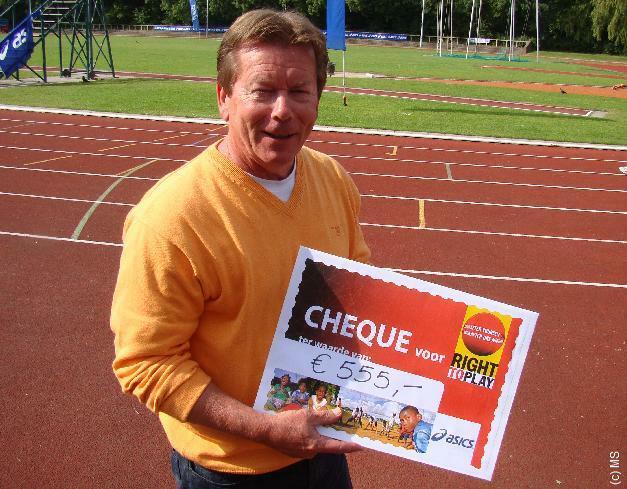 After completion of the sports activities day, the ASICS-employees handed Dutch Head Coach Craig Montvidas a cheque of 555 Euro to donate to Right To Play. A barbeque concluded the day in Leiden. 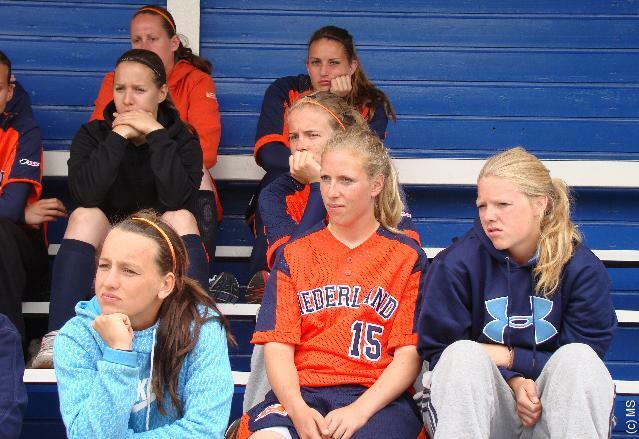 Copyright Photos © 2008-2009 Marco Stoovelaar / Fred Versluis. 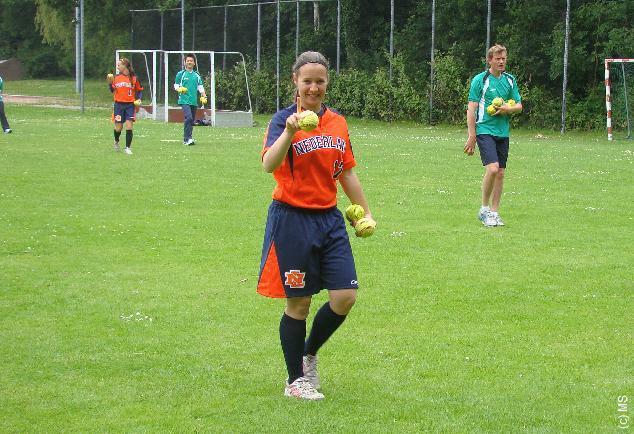 Copyright Site © 2008-2009 Marco Stoovelaar / Dutch Women Softball Team. All Rights Reserved.